After rambles on Lamb’s Conduit Street yesterday and a few halves, plus small tastes supplied by the house, I can confirm U.K. bitter (in this case, Young’s, Adnams, Redemption, Marston), i) is as good as on any earlier visit over a 35 year period, ii) is an epicurean beer experience, and iii) offers a Gambrinal take no other nation quite can. Even the Camden Hells is very nice, yet another twist on Bavarian blonde. And Guinness is fresher and more smoky than in Canada, it seems sweeter too. Same back end of adjunct but overall a more subtle beer. I’m in the right place, at the right time. And the right time is 1811, 1911, 2011 (my last visit) and no doubt 2111. London in general is pretty much unchanged too, except cleaner. I would also love to have a beer in London w you sometime, Gary. Perhaps I could show you around the East London beer scene for a contrast to Central London. I guess your schedule is tight though! Next time or I’ll just have to visit Toronto. I hope you enjoy the rest of the trip in the Big Smoke. Thanks Ben, time is too short on this trip but I hope another time. Note much appreciated. 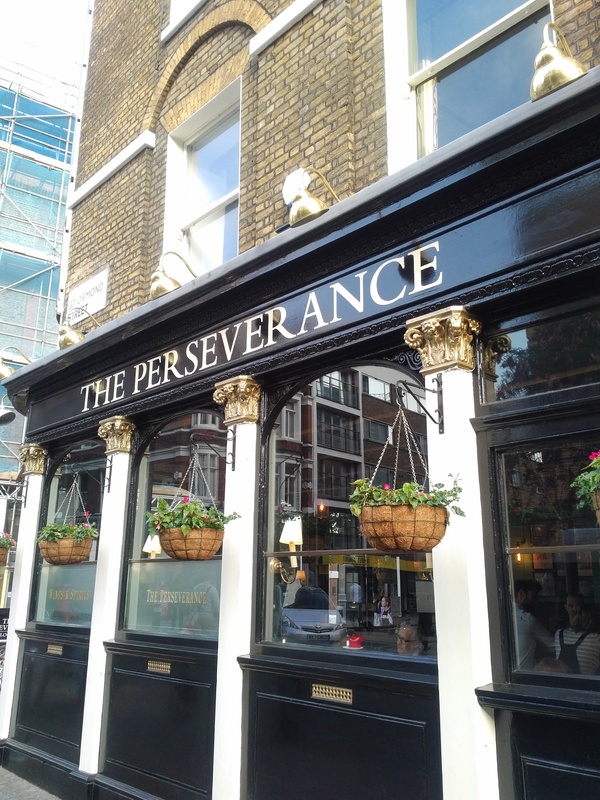 Rick has a fascination for pubs, especially traditional London pubs, and has written a social history of the Nag’s Head, having researched (in archives as well as ‘on the ground’) the area and more widely. He wrote a piece on the pub guide for London Drinker (part prompted by me) – see page 40 and 60 of the April/May and June/July 2014 editions for part 1 & part 2 respectively. Thanks for all this, I don’t know if I can but will try, will send another note to confirm if it works out.